A single sheet of drywall is 4′ x 12′ and weighs about 77 pounds. 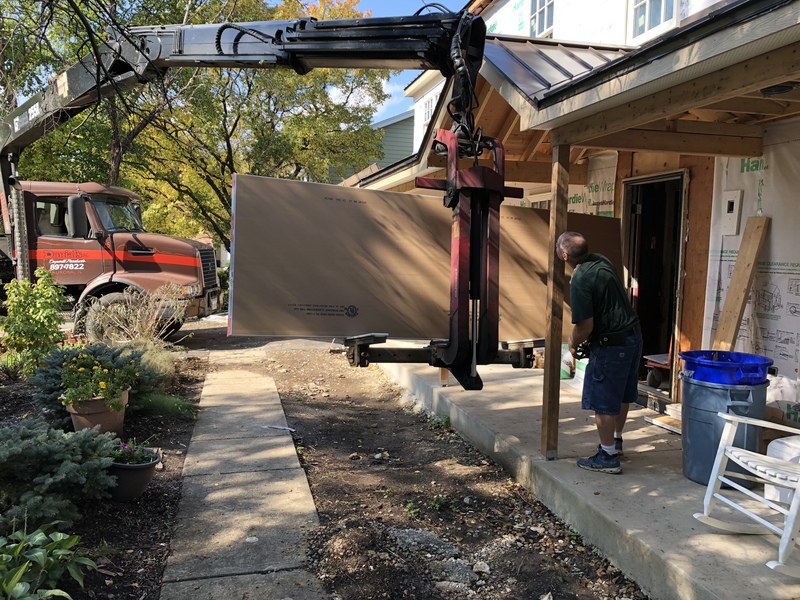 Dry wall is typically shipped in sheets of two, so that would be 154 pounds total weight. Add to this fact that drywall is somewhat fragile. 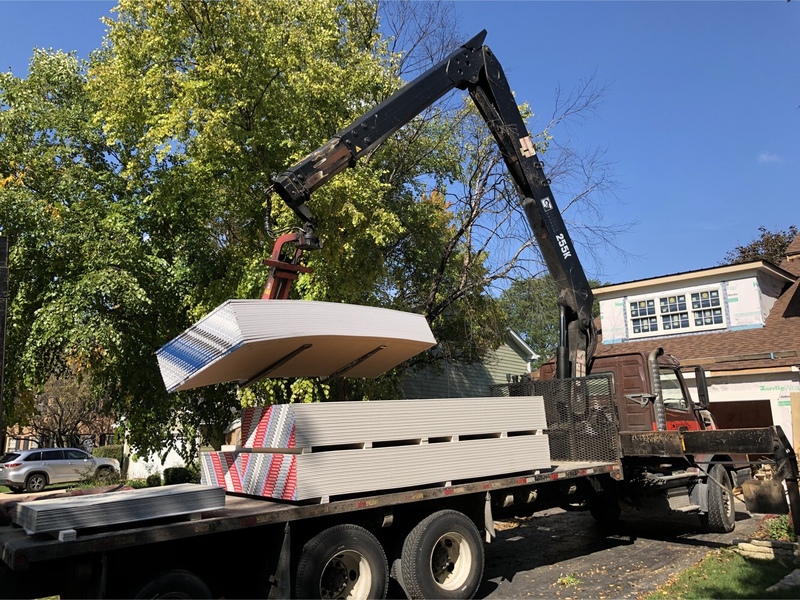 It is awkward to move a few sheets of drywall for a DIY project, but imagine having to transport enough drywall for an entire house. Big box stores will deliver drywall, but they will dump it at the site. Drywall suppliers will not only deliver it, but they will also stock it in the building under construction. 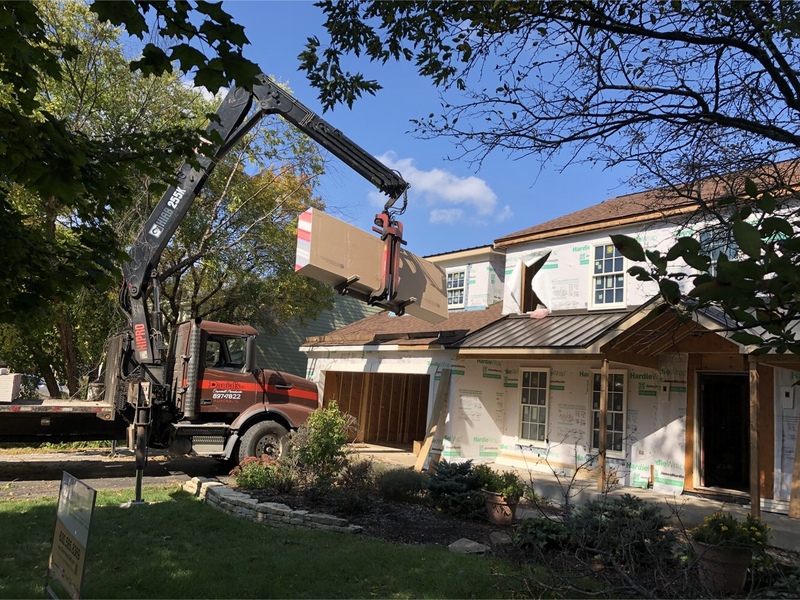 The following photos shows a drywall delivery to a home that I’m working on. Twenty-three thousand pounds of drywall was delivered and stocked by two workers in only 90 minutes. The use of a lift makes the job a lot easier! If you have any construction or remodeling needs, please feel free to contact me for a free estimate.